How do you follow a movie that introduces Godzilla’s offspring? More appropriately, how do you get the series back on track? The answer is simple: you gather as many of Toho’s famous kaiju as possible into a single film and set them upon Earth’s biggest cities. And who better to make such a film than the team of producer Tomoyuki Tanaka, director Ishiro Honda, special effects supervisor Eiji Tsuburaya, and composer Akira Ifukube – the men responsible for the original Godzilla film and its most memorable sequels. 1968’s Destroy All Monsters would be the last project made by all four men, but at least their collaboration would end on a high note. Set in the distant future, in the year… 1999, humanity enjoys a period of relative peace, having successfully relocated Earth’s many monsters to one island, logically referred to as “Monsterland.” Invisible force fields prevent the monsters from leaving Monsterland, but they don’t seem to mind at all, living in harmony with one another and feeding off the local wildlife. That last point is hilariously emphasized in a sequence that shows flying kaiju Rodan scooping up a dolphin from the ocean. Of course, things have to eventually go wrong, because what fun would a movie about peaceful monsters be? Using mind-control technology, an evil race of aliens known as the Kilaaks enslave several of the scientists who watch over Monsterland, and use them to deactivate the island’s force fields. The Kilaaks then take control of Earth’s monsters and command them to attack the major cities of the world. It’s great fun watching Godzilla and company topple buildings once again, and the entertainment is accentuated by the dubbed voices of the cities’ diplomats crying for help with offensively stereotypical accents. The film’s pace slows down to a crawl as we watch the humans scramble about, searching for a way to repel the alien invaders. The humans set out to destroy the technology responsible for the Kilaaks’ mind-control powers, which is within a base on the moon. When the Kilaaks’ lunar base is destroyed and the monsters regain control, the Kilaaks send King Ghidorah to Earth to destroy them. Kicking off with a killer shot of Ghidorah descending upon Earth’s now-gallant monsters, the ensuing battle is one of the most chaotic and entertaining in the entire Godzilla series. The odds are heavily stacked in favor of Godzilla and Co., with a whopping ten monsters chomping at the bit to trounce Ghidorah. Unfortunately, a few of the monsters stay on the sidelines, but the battle is glorious and epic nonetheless. If I have any real complaint about the film’s climactic melee, it’s that I almost feel bad for the vastly outnumbered Ghidorah. He puts up a valiant effort against Earth’s monsters, but is inevitably taken down, brutalized and, well, flat-out murdered. Even after losing the fight, Ghidorah is shown having his neck munched on by Anguiris while Godzilla takes one of his heads and slams it repeatedly to the ground. 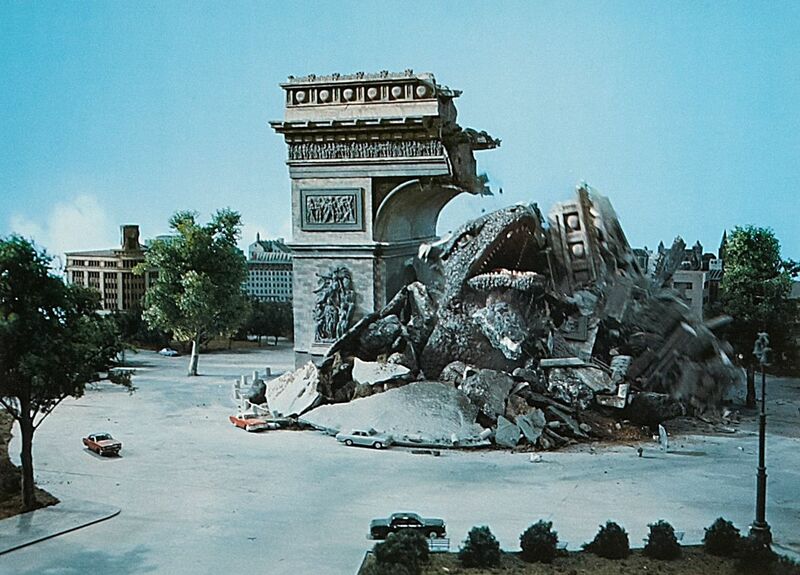 Even Minilla manages to toss a humiliating smoke ring toward Ghidorah’s mangled corpse. It’s definitely not a scene for those sensitive to violence. Despite reaching what seems to be a satisfactory conclusion, the film grinds on, with the Kilaaks unleashing their true secret weapon: a “fire dragon” that seems to be impervious to the monsters and can easily tear through skyscrapers. 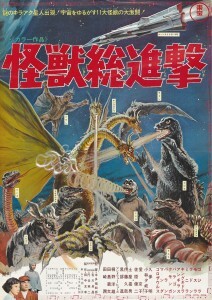 In a bizarre sequence of events, it is revealed that the fire dragon is merely one of the Kilaaks’ flying saucers, which is rendered vulnerable when Godzilla destroys the Kilaaks’ underground base. After destroying the flying saucer and saving Earth yet again, Godzilla and friends return to Monsterland to live out their lives in peace. 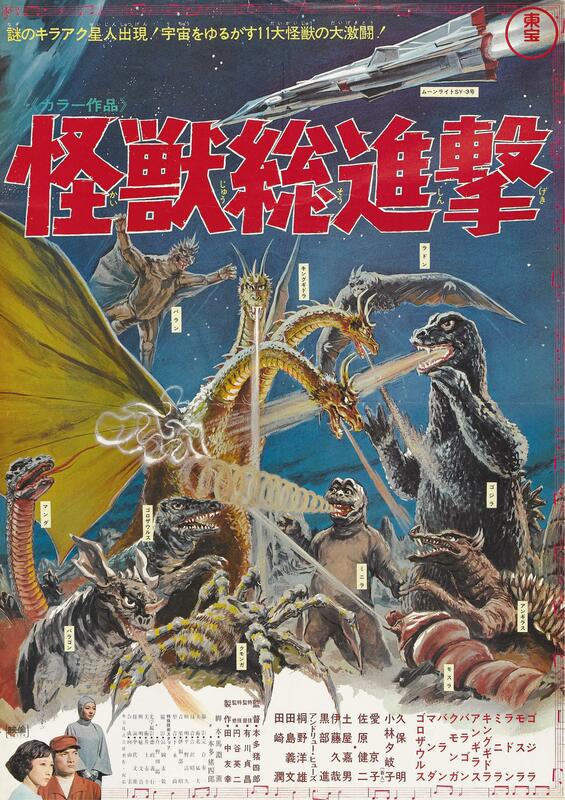 It goes without saying that Destroy All Monsters is famous almost entirely because of its large roster of monsters. As a whole, however, I feel that it is not quite as good as Mothra vs. Godzilla or Invasion of Astro-Monster, with the latter’s alien invasion plot being far more entertaining. Destroy All Monsters is also surprisingly and almost inappropriately violent at times. 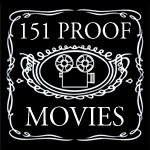 Aside from the aforementioned monster violence, there are a handful of bloody moments involving the humans that don’t really fit with the film’s tone. I wouldn’t go so far as to call this film a let-down, but considering the premise, it’s a little disappointing that it isn’t easily the best of the 60’s Godzilla films. Fun Fact: Baragon, Gorosaurus, Manda, and Varan never actually appeared in a Godzilla film prior to Destroy All Monsters, though they were in other Toho films. 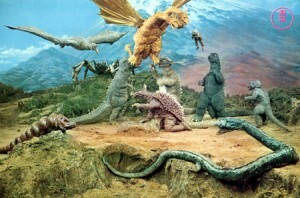 Memorable Moment: Gorosaurus (a Tyrannosaurus-like kaiju) jump-kicking a restrained King Ghidorah in the back. This is truly amazing, and has to be seen to be believed.